The Geva sandal by Mephisto® provides all-day functionality you can depend on this summer-season! Hook-and-loop straps secure foot in place. Removable cushioned footbed encourages a customized fit. 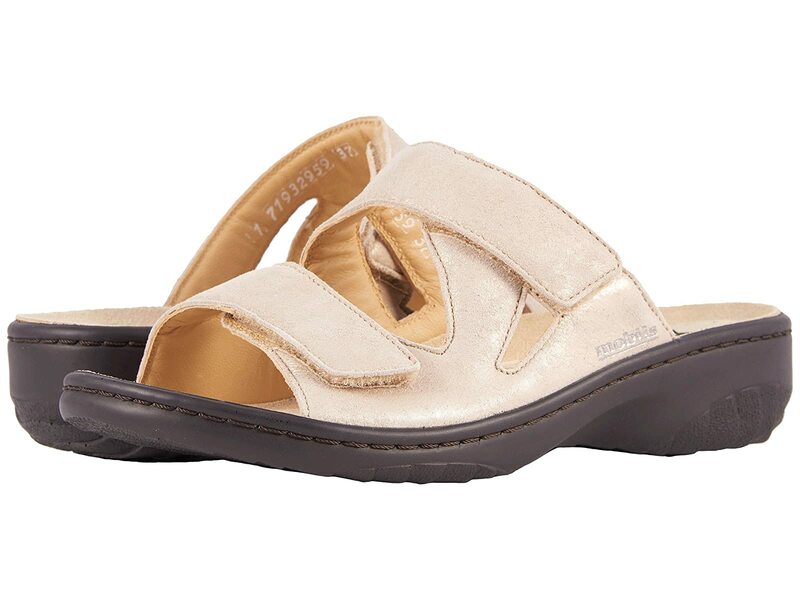 Additional padding throughout the sandal is lined with supple leather, keeping feet cool and comfortable. Features shock-absorbing heel for additional protection and support.